On March 14, 2017, the City of Los Angeles updated its Rules and Regulations and issued a new Frequently Asked Questions (FAQ) regarding the City’s Minimum Wage Ordinance (MWO) that went into effect on July 1, 2016, and which annually provides 48 hours of paid sick leave to employees who work within the geographic boundaries of the City of Los Angeles. Under the MWO, paid sick leave went into effect on July 1, 2016 for employers with 26 or more employees, and will go into effect on July 1, 2017 for employers with 25 or fewer employees. As with California’s paid sick leave law (the Healthy Workplaces, Healthy Families Act), paid sick leave under the MWO may be used for the purposes of preventive care or for the diagnosis, care, or treatment of an existing health condition of an employee or employee’s family member, or for specified purposes for victims of domestic violence, sexual assault, or stalking. The following is a summary of the MWO’s main features regulating paid sick leave in the City of Los Angeles as set forth in the City’s updated Rules and Regulations and FAQ. The MWO applies to any employer who directly or indirectly (including one who uses a temporary staffing agency) employs or exercises control over the wages, hours, or working conditions of any employee who works in the City of Los Angeles. 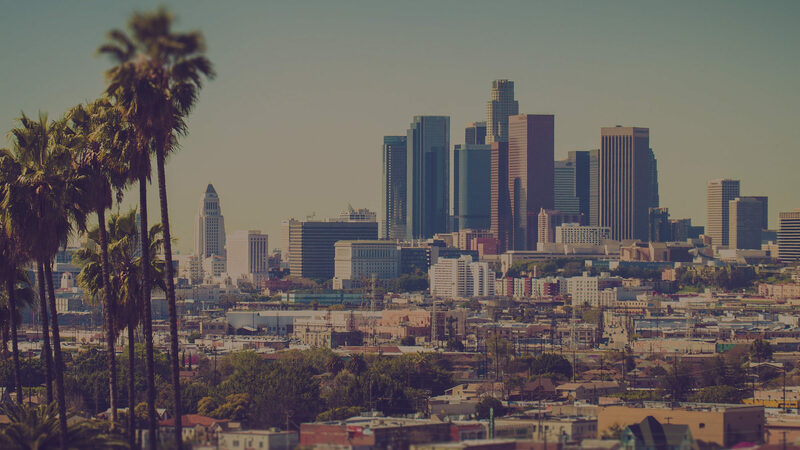 The location of the employer’s business is immaterial, as what matters is whether an employee works for the employer in the City of Los Angeles. Any employee who performs at least two hours of work in a particular week within the City of Los Angeles is entitled to paid sick leave for time worked in the City. Employees are covered by the MWO regardless of whether they are full-time, part-time, seasonal, or temporary. However, the MWO does not apply to employees who are exempt from the payment of overtime. Therefore, an employer with exempt employees who work in the City of Los Angeles need only adhere to California state law on paid sick leave. Employees who work only sporadically in the City are covered by the MWO. Each day in which an employee performs work in the City is considered one day. If an eligible employee qualifies by working at least 30 days within a year in the City of Los Angeles for the same employer, then that employee is entitled to paid sick leave benefits. The “year” or 12-month period begins on the first day the employee works in the City. An employee who travels through and makes even one stop in the City of Los Angeles as a requirement of the employee’s work (e.g. to transport passengers or patients, make pickups, deliveries, sales, or service calls) is covered by the MWO for all hours worked in the City. But an employee is not covered by the MWO if they are merely traveling through the City with no employment related stops. To determine if a workplace or job site lies within the City limits, you may use the City’s Neighborhood Info website at http://neighborhoodinfo.lacity.org/. If an address is located within the geographic boundaries of the City of Los Angeles and is correctly entered, then the search will locate the address on the map with detailed address information. Individuals who live in the City and perform work for an employer from home are covered by the MWO. However, an individual who works from a home that is outside of the City is not covered by the MWO, even if the employee works for a Los Angeles based company (unless the individual also works at least two hours in any particular week for the employer within the geographic boundaries of the City). Every employee who works for an employer with 26 or more employees, on or after July 1, 2016, and works in the City for the same employer for 30 days or more within a year from the commencement of employment is already entitled to paid sick leave. These employees should have begun accruing sick leave on the first day of employment or July 1, 2016, whichever was later. Every employee who works for an employer with 25 or fewer employees, on or after July 1, 2017, and works in the City for the same employer for 30 days or more within a year from the commencement of employment is entitled to paid sick leave. For employers with 25 or fewer employees, paid sick leave must begin accruing on the first day of employment or July 1, 2017, whichever is later. These employees may use paid sick leave beginning on the 90th day of employment or July 1, 2017, whichever is later. By providing the employee one hour of sick leave per every 30 hours worked (the accrual method). An employer may select either the front-loading method or the accrual method and may switch between the two methods only on an annual basis. Employers may also apply different paid sick leave methods to different employee classifications. For example, an employer may use the accrual method for part-time employees and the front-loading method for full-time employees, or use the same method for both. However, an employer may switch between the methods only on an annual basis. Employees are entitled to take up to 48 hours of sick leave annually. Unused paid sick time accrued by an employee, whether by the front-loading method or by the accrual method, shall carry over to the following year of employment and may be capped at a minimum of 72 hours. An employer may set a higher cap or no cap at all. For employers with 25 or fewer employees using the front-loading method on July 1, 2017, and only for the calendar year 2017, the employer may provide 24 hours for the period covering July 1, 2017 to December 31, 2017. On January 1, 2018, the employer will be required to provide the full 48 hours. Under the MWO and California law, employers must provide paid sick leave upon the oral or written request of an employee for the employee himself or herself, or the employee’s family member. The MWO incorporates California’s definition of “family member” but also enlarges it to include “any individual related by blood or affinity whose close association with the employee is the equivalent of a family relationship.” Under this expansive definition, employees may arguably use paid sick leave to care for a significant other (whether cohabitating or not), roommates, and others who have no relation to the employee by law or by blood. An employer may require documentation to substantiate the need for leave only after an employee has used more than 3 consecutive days of sick leave. Employers who require documentation for three consecutive days or less would be in violation of the MWO and California’s paid sick leave law. An employer may not require an employee to provide a description or explanation of the illness or condition necessitating the employee’s leave. Reasonable documentation is also dependent on the situation. The employer’s policy should never be so difficult that it deters an employee from taking a legitimate paid sick day. As with California’s paid sick leave law, an employer is not required to provide compensation for accrued and unused sick time at the time of termination. If an employer has a paid leave or PTO policy that provides no less than 48 hours, no additional time is required. Employers with 26 or more employees in the City of Los Angeles should review their paid sick leave and/or PTO policies and procedures to ensure they are properly complying with the MWO. Employers with 25 or fewer employees should do the same to ensure that they will be ready to roll out new or revised paid sick leave and/or PTO policies beginning on July 1, 2017. Employers should update their sick leave and PTO policies to comply with the law. This is definitely an area that will need to be updated in employee handbooks.